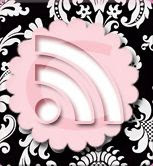 Little Blog Dress Media Sponsors Project Hope. We are real excited to be a bronze sponsor for this event. There will be a fashion show/runway atmosphere, live entertainment and more. Hope to see you there! Florida Hospital Memorial Foundation will host the 7th Annual Fashion Show on Sunday, May 20 from 2 p.m. to 5 p.m. at the Ocean Center, 101 North Atlantic Ave., Daytona Beach. This year’s event entitled Project Hope will feature fashions for men, women and children provided by Bealls, Jos. A. Bank, White House Black Market and LOFT. 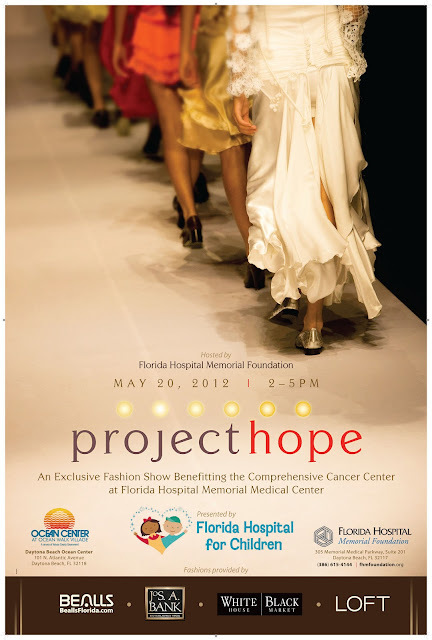 This is exclusive fashion show will benefit the Comprehensive Cancer Center at Florida Hospital Memorial Medical Center. Guests will enjoy the “Red Carpet” experience and light hors d'oeuvres in a true high-fashion runway seating. 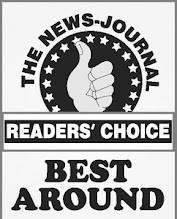 Corporate Sponsorships are available, and individual tickets are $50. Everyone who attends the Fashion show will receive a gift bag that will include a 25$ gift card to Stonewood and 10$ to Peach Valley!!! To purchase tickets or to learn more about the Project Hope Fashion Show, please call (386) 615-4144 or email foundation@fhmmc.org.